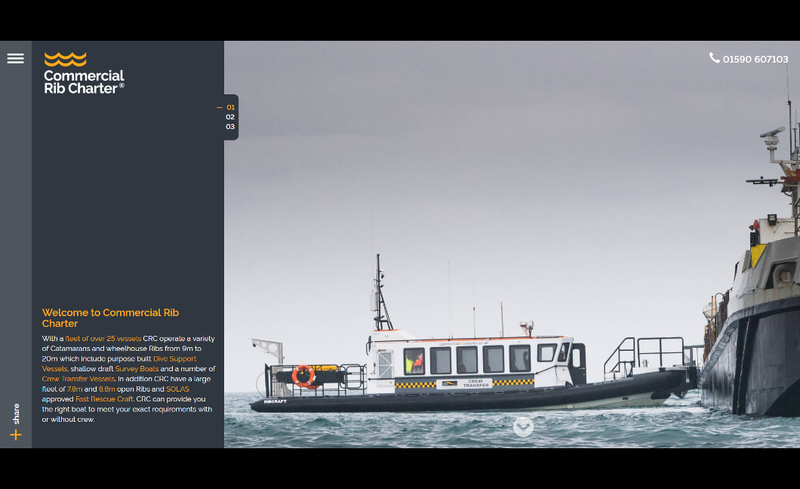 Last but not least, our sister company Commercial Rib Charter have re-branded and treated to a new fully responsive website. Just like the old logo; Solent Rib Charter, Commercial Rib Charter & Floating Pontoon Hire all essentially share the same brand however this time we’ve given each a unique company colour. To keep in-line with the commercial theme, CRC have gone with more orange colouring. The site looks great but don’t take our word for it, have a look for yourself and let us know what you think by leaving us a comment on either Facebook or Twitter!